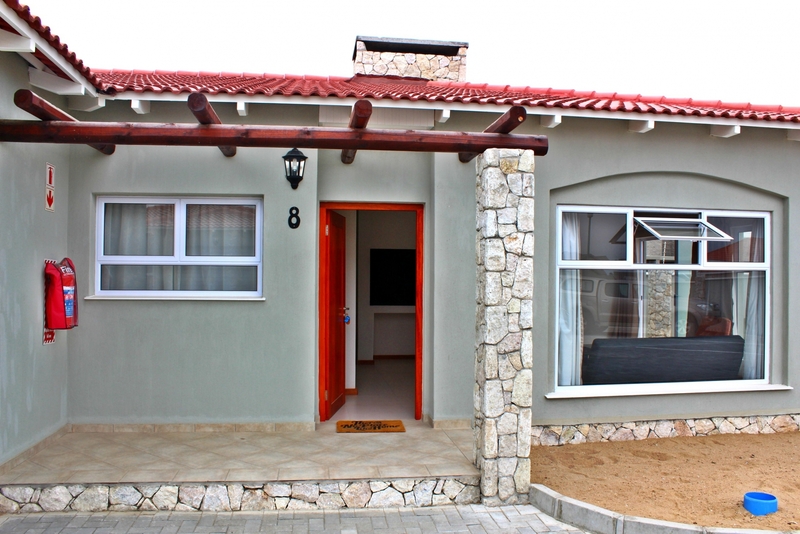 Duine-Oord is a self catering establishment that is managed by the ATKB (Afrikaanse Taal en Kultuurbond Namibia). 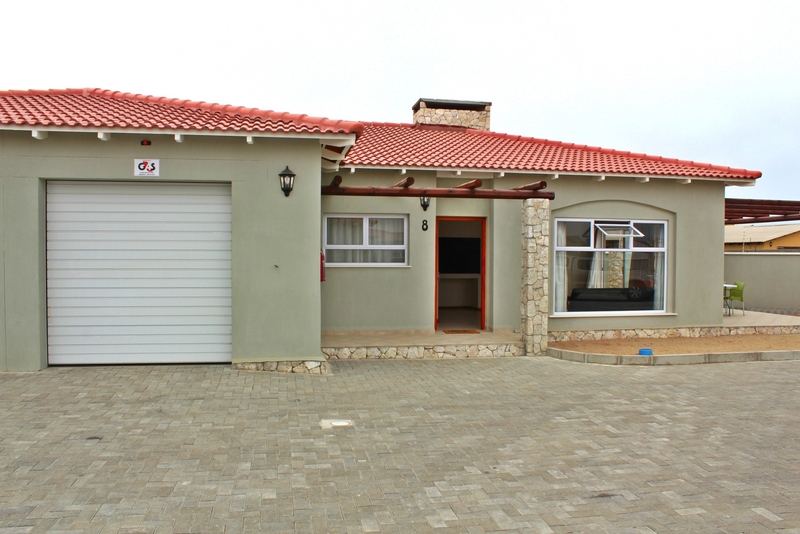 They have 8 units, which consist of two bedrooms, a kitchen, lounge area, two bathrooms, an inside braai, terrace and a single garage. The units are in a secure complex, even when parking your vehicle outside the unit it is safe. Children can also play within the complex safely. 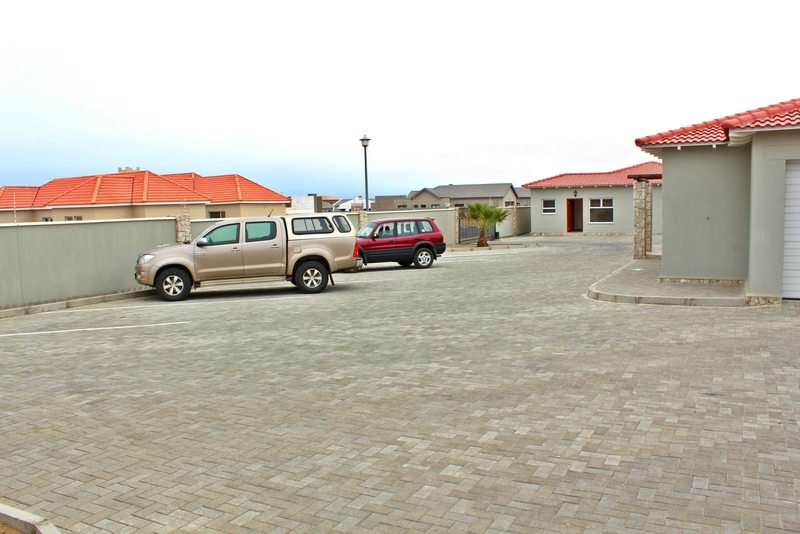 Duine-Oord is situated in Omaparara Street in Oceanview, Swakopmund. You have access to the beach from Duine-Oord, it is a 10 minute drive away. 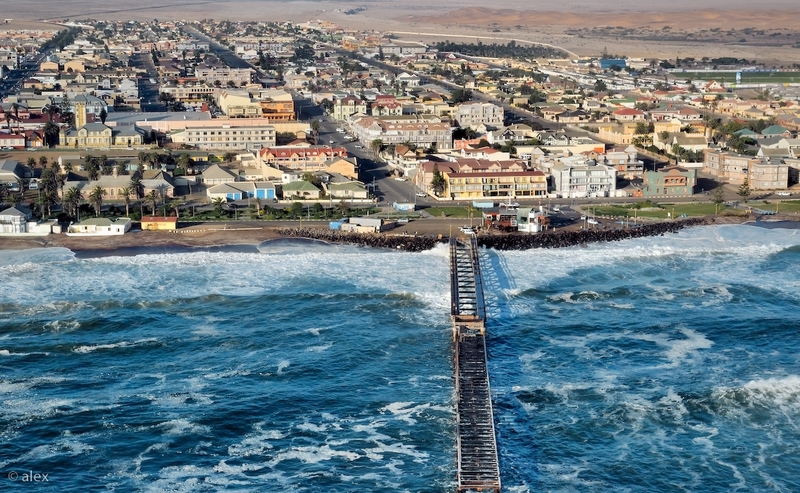 Swakopmund is one of the main coastal Towns in Namibia and is rich in history and a great spot to enjoy some of Namibia's best Restaurants, activities and meeting our friendly and hospitable people. 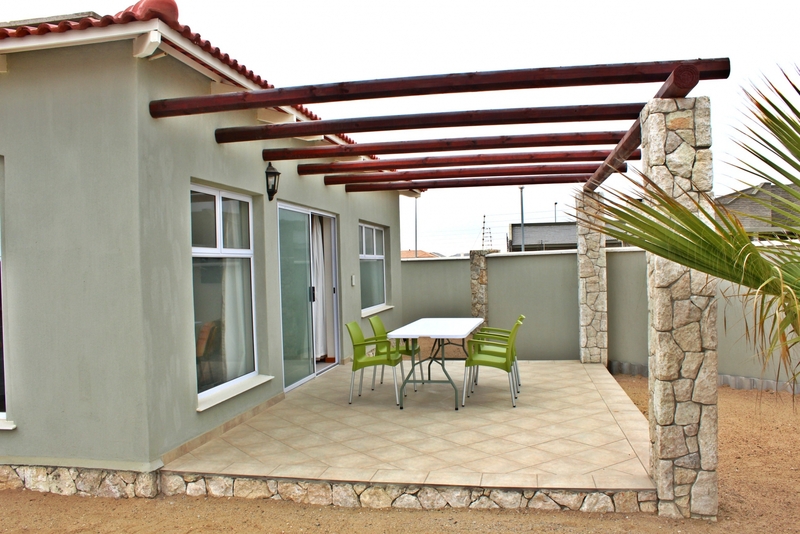 Swakopmund is a hot spot for activities, such as Quadbiking in the dunes, dune boarding, paragliding, parachuting, scenic flights, Sandwhich Harbour Wetland Tours, Living Desert Tours, Moon landscape tours, fishing, camel riding, and many more. 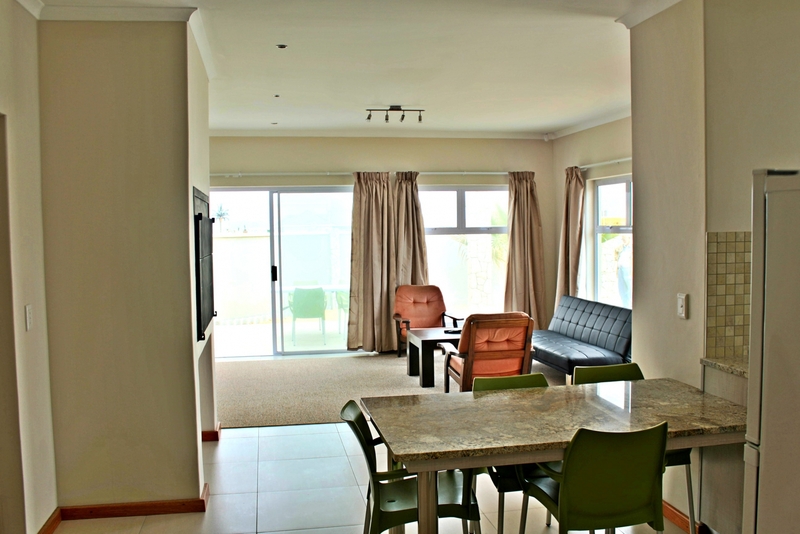 Do not wait too long, make your arrangements and come visit the magnificent town of Swakopmund and let Duine-Oord be your basis from where you can experience all of this. 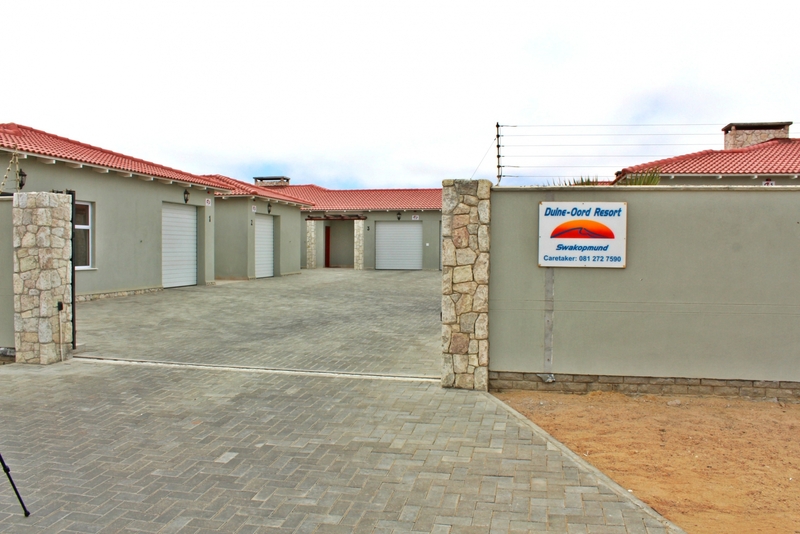 Situated in the coastal town of Swakopmund, Duine-Oord is the perfect accommodation for you and your family, spending a holiday at the coast. 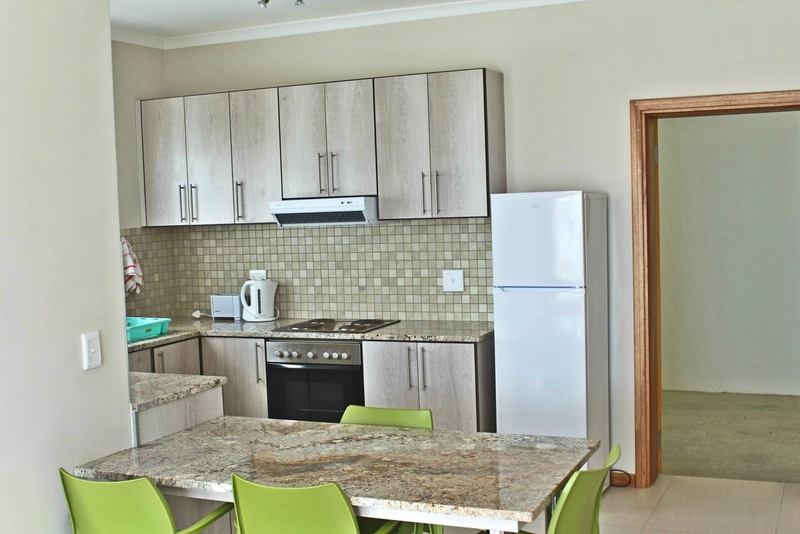 Each of our 8 units is very comfortably furnished, and you will find everything you need during your stay at Duine-Oord.The kitchen has a 4 plate stove, deepfreezer, fridge, wash basin, microwave, toaster and seating for up to four people. 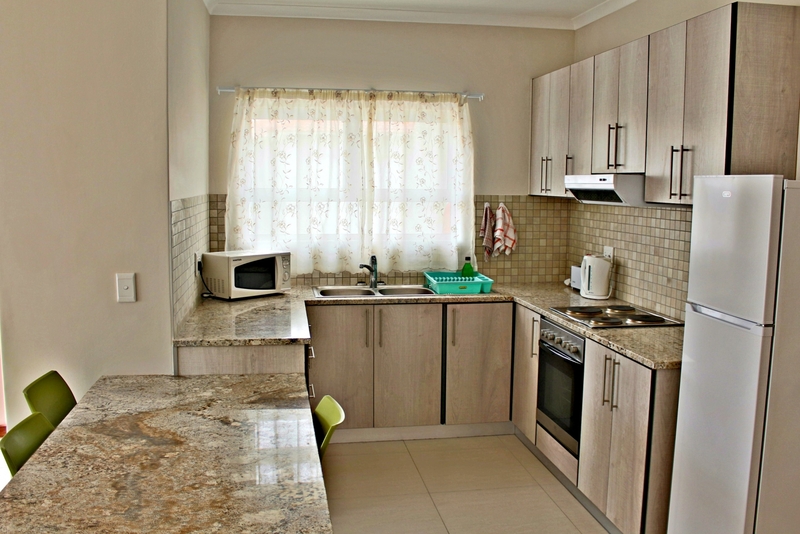 Crockery, cutlery, pots and pans are also available. 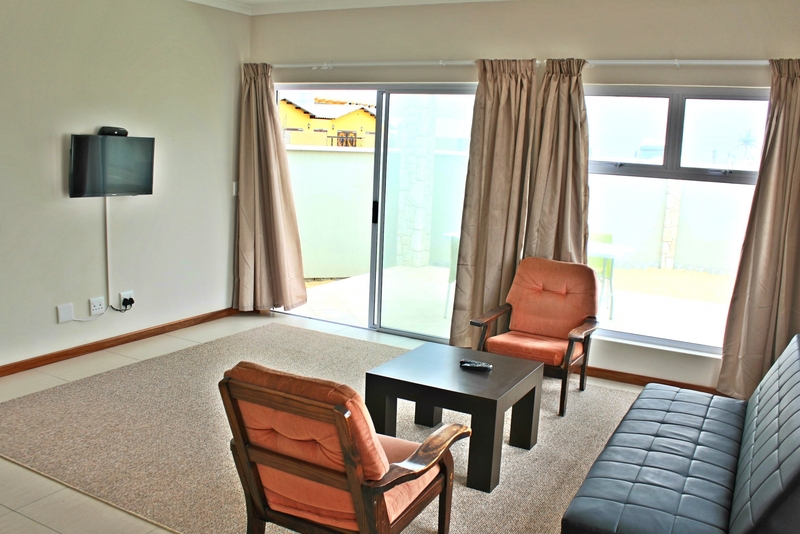 The living area consists of a double seater and two single seater couches. DSTV is available. 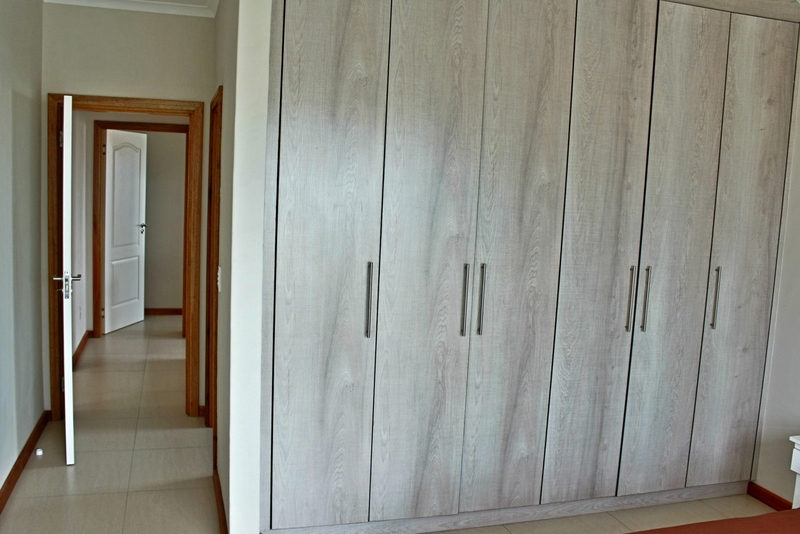 The main bedroom has a double bed and ample space in the wall cupboards to store your clothing. 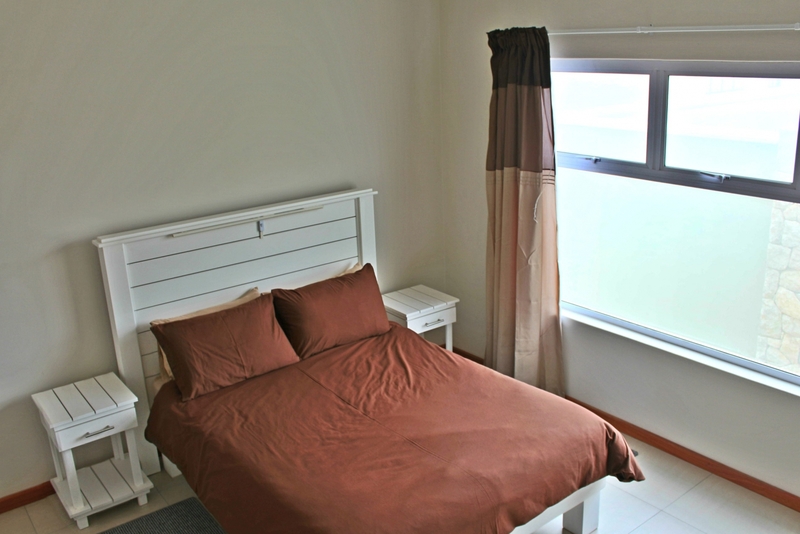 The second bedroom consists of two single beds and can be used for two children or two further adults. Linen is provided but personal- and beach towels you have to bring along. Each room has it's own Bathroom which is situated right next to it. They consit of a bathtub, shower, toilet as well as a sink. Your car can also be parked safely in the single garage provided, which is attached directly to the unit. 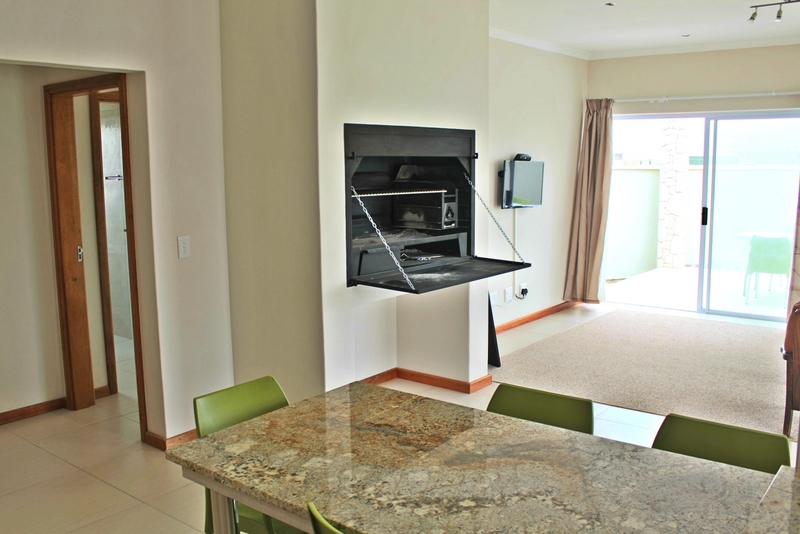 Another great feature is an indoor braai facility, where you can enjoy a wholesome and relaxing braai evening or lunch with family and friends. 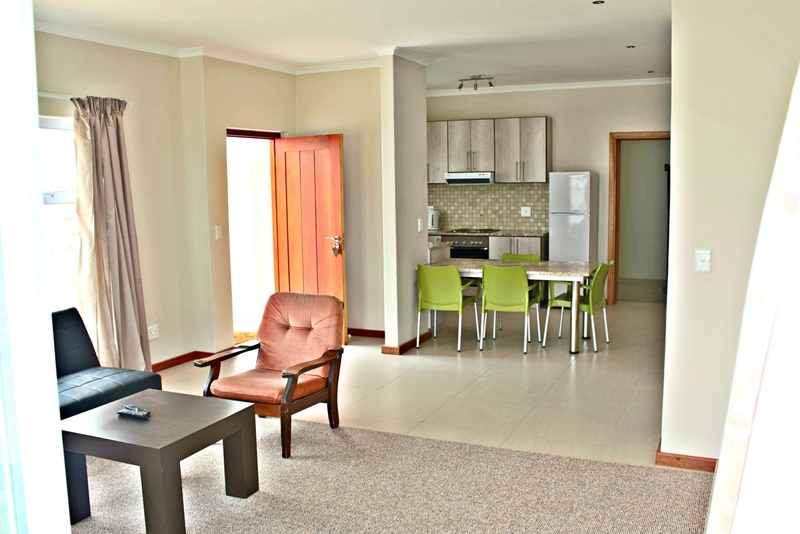 If you are looking for comfortable and affordable self catering accommodation in Swakopmund, the Duine-Oord is the perfect place for you to enjoy a stress free and relaxing holiday. To book your accommodation at the Duine-Oord, please click the link on the right, to open the Application for accommodation pdf. Please print this form, complete it and send it to us, either by scanning and e-mailing or faxing it back to us. Contact details can be found at the bottom of this page. 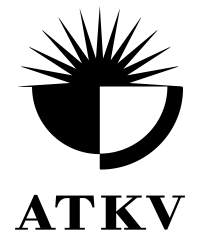 To apply for Membership of the ATKB Namibia, please click the link on the right, to open the Application for membership pdf. Please print this form and send it to us, either by scanning and E-mailing it or faxing it back to us. Contact details can be found at the bottom of this page. The following organisations and businesses are partners of ours and you are more than welcome to visit their websites to find out more about them. Just click onto the links below to find out more. 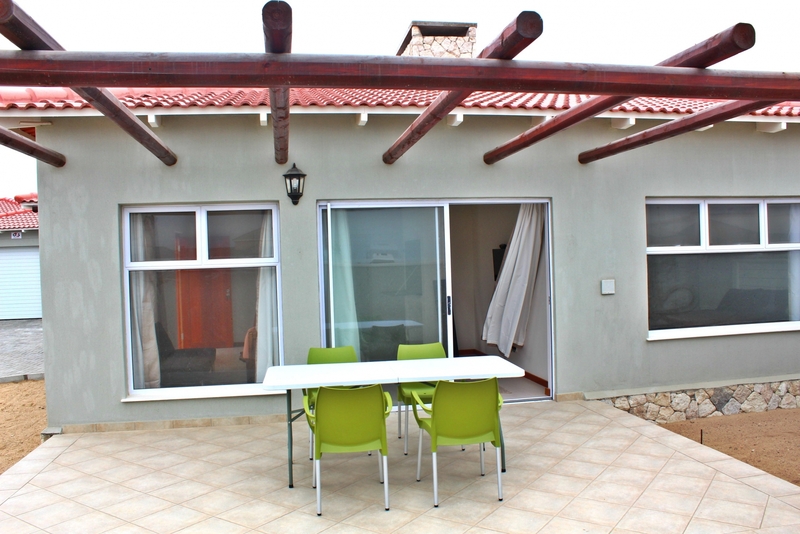 Here you will find some pictures of our Units and can see exactly what they offer. To get an even better impression of our units, have a look at the Virtual Tour on our website where you can view everything in 360°.